J Pack has been a long-standing point of reference for small- and medium-size food businesses, catering professionals, the HO.RE.CA. sector and the agri-food industry. J Pack manufactures packaging machines developed to meet the needs of flexibility and production optimization. Our range goes from the small counter machines to the semi-automatic and automatic models, especially conceived for MAP and Skin technology. Every year, J Pack invests resources in research and development to design devices and innovative solutions that meet every customer’s needs. Packaging of any type of meat. Storage and packaging of all seafood products. Packaging of fresh and cooked vegetables. Sealing of dried and fresh fruit. Sealing of fresh, aged and soft cheeses. Sealing of ready meals for large-scale food consumption. Packaging of fresh, stuffed, dry and precooked pasta. Packaging of a wide array of products. Special sealing for thick or liquid foods. 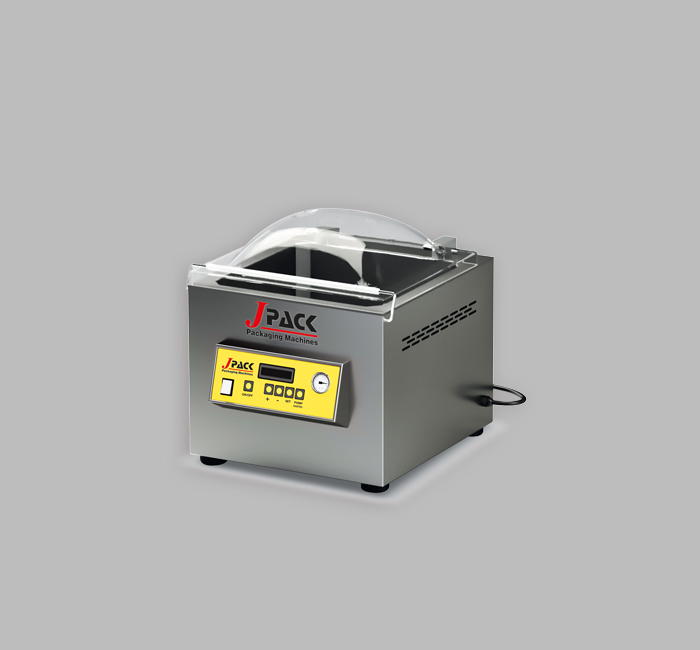 Discover the wide range of sealers manufactured by J Pack. 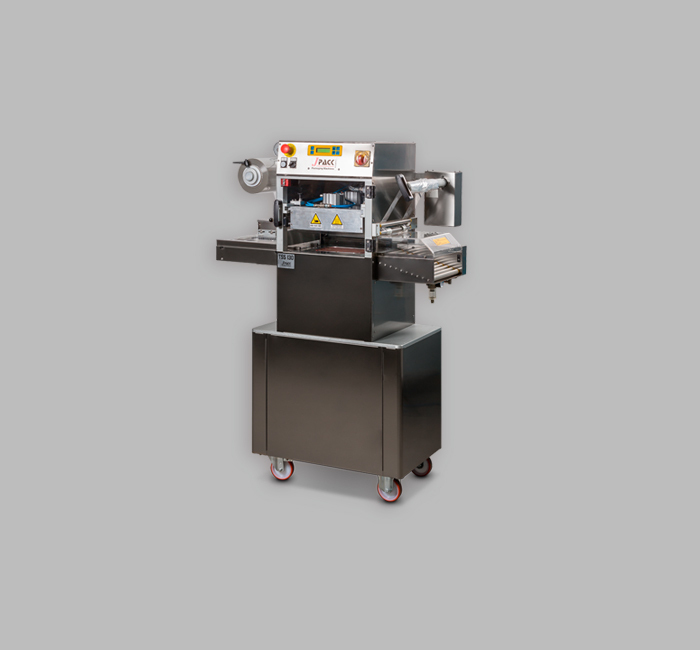 Our technical skills have allowed us to develop a range of thermosealing machines that can meet the varied needs of professional catering, the HO.RE.CA sector and the agri-food industry. MAP packaging technology refers to a packaging process specifically designed to improve the storage of products and extend their shelf-life. 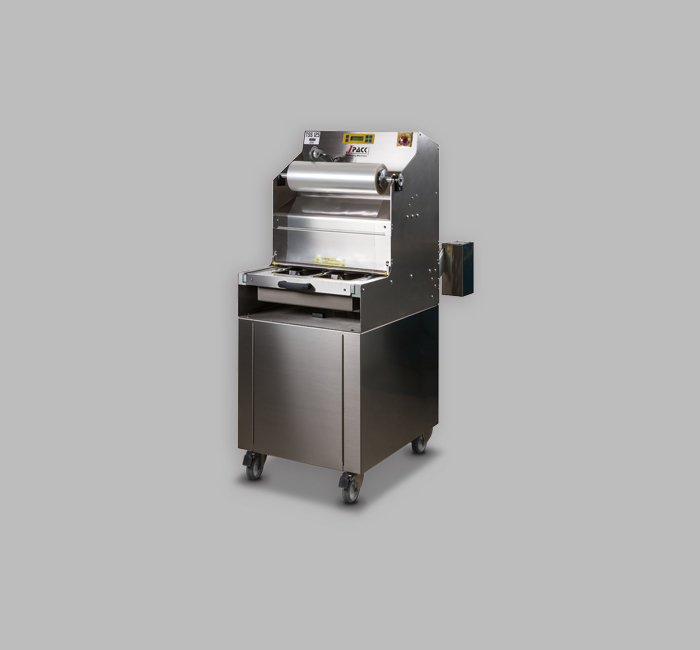 Our range of machines includes semi-automatic and automatic solutions, specifically designed for the food and other industries and it also guarantees maximum product freshness and genuineness. Our engineering skills have allowed us to develop a line of sealers specifically designed for Skin packaging. Our semi-automatic and automatic solutions combine innovation and food technology ensuring maximum safety and reliability. 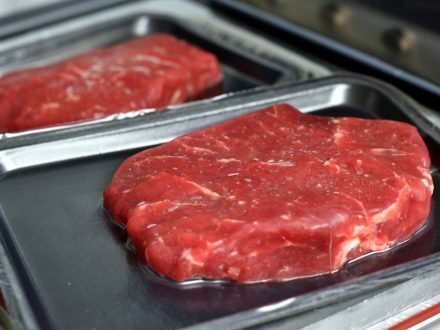 Our range of sealers include chamber vacuum sealers designed for professional, flexible, simple and practical use, and for external suction, designed for domestic use and small businesses. 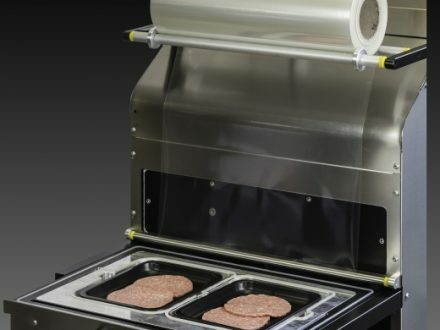 Our range of chamber vacuum sealers includes both over-the-top and wheeled machines, with and without gas flush option. 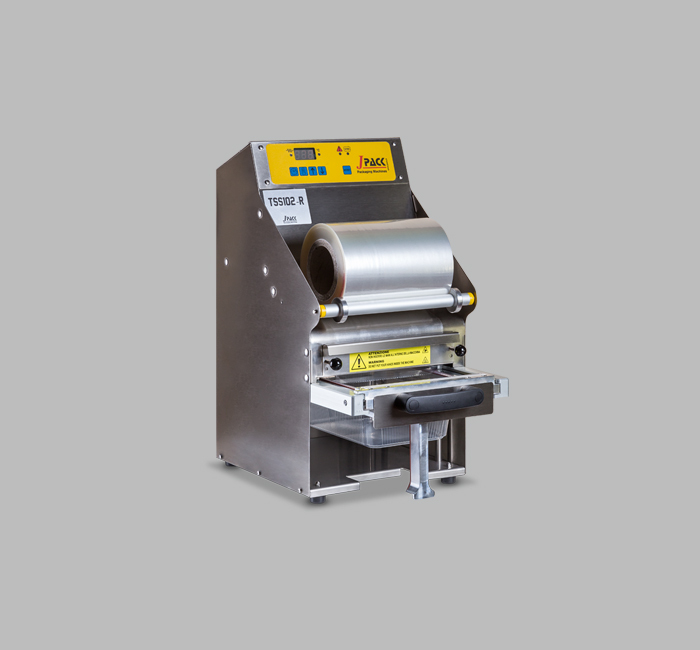 The machines are available with sealing bars of different lengths and can be personalized according to customer needs. 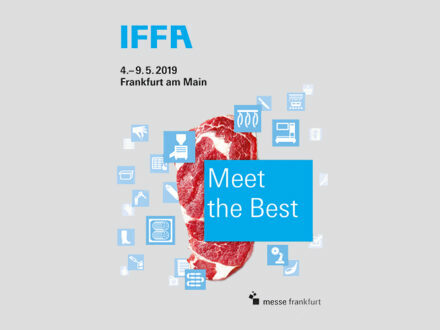 It is a pleasure to annouce our partecipation at IFFA exhibition, the leading international trade fair for the meat industry. You can meet us at HALL 11.1 – STAND D25. See you in Frankfurt from 4 to 9 May. For further information: info@jpack.it. Discover our new semi-automatic thermoseling machine TSS126 with OVER SKIN in order to seal protruding products up to 40 mm from the tray edge. Read more. The electrical semi-automatic thermosealing machine TSS125-BG represents the best solution in terms packaging. Thanks to the die-cut moulds and the patented electrical handling system, sealing with MAP had never been so easy. Read more. Discover the solution best suited to your needs!